Your house is almost picture-perfect. It has everything you need inside, but the curb appeal could use a little help, and you’ve had it with standing in the rain on the front step, especially this year! We’ve had more than our fair share of rain. 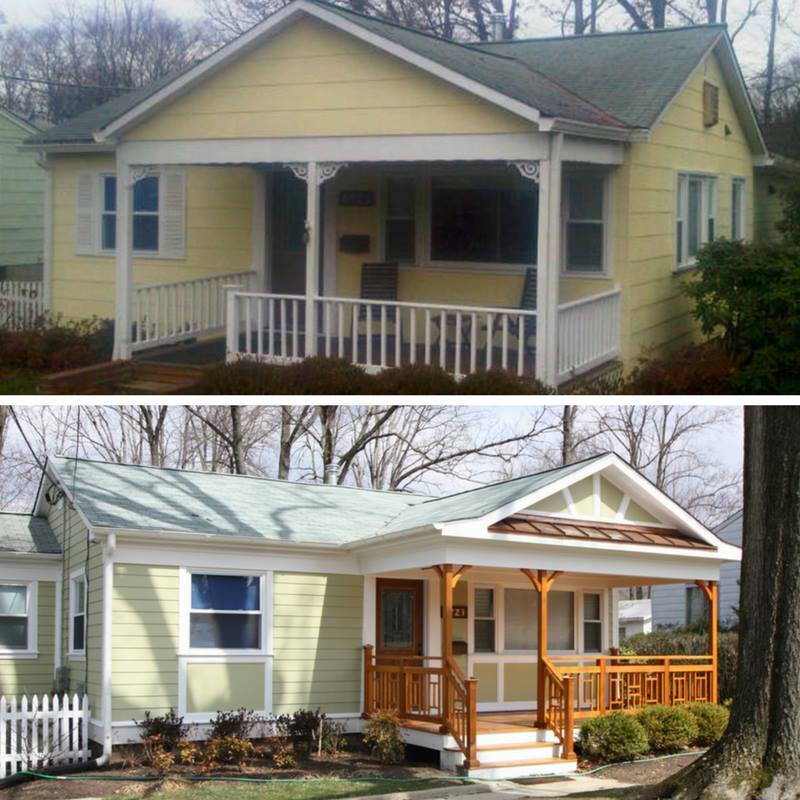 Now may be the perfect time to add a front porch to your home. It’s summertime and the living is easy - why not take advantage of the front of your home with a new porch? A warm, welcoming front porch with a chair or two and some potted flowers can’t help but brighten the facade of your home. A front porch conveys the feeling of spaciousness; it adds more outdoor living space. In the DC area, a front porch is usable in spring, summer and fall. Add to that a roof over your head during the wintery season, and you’ll have yet another place to leave the weather outside before coming in from the cold. Your new front porch can be as simple as a small, covered space that protects you from the elements, to a broad, expansive space that offers seating, storage and a true outdoor room. Front porches can be custom-designed to complement your home’s exterior, and your family’s needs. Working with a quality, local remodeling professional can make the experience that much better. Even if you choose a small, simple version of a front porch, it’s essential to go with a professional contractor familiar with local building codes. It’s also essential to choose someone whose work you admire. Ask to see a portfolio, and request an estimate. Chances are you’ll find a host of new ideas and materials you never considered. Tapping into a professional’s experience and expertise ensures that you’ll be getting your fair share of both quality and innovation. Ready to get started? There’s plenty of summer left to enjoy, and Halloween is just around the corner. It’s the perfect time for the perfect porch.